This article is 3155 days old. 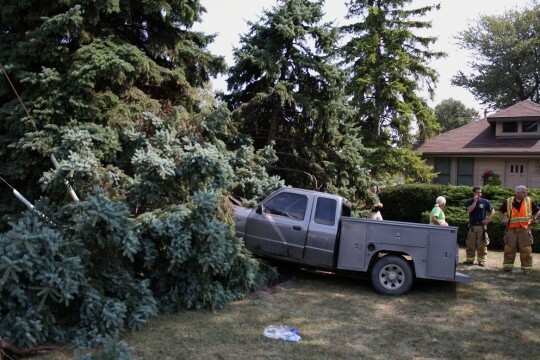 A middle aged man hopped the curb and crashed into a cluster of trees around 2:10pm Monday afternoon. 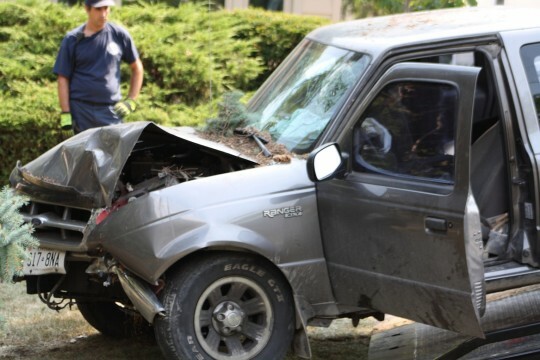 The single vehicle crash occurred just after 2pm on Riverside Drive East between Isabelle Place and Belleperche Place. Witnesses on scene state that they believe the man experienced a seizure prior to the crash. 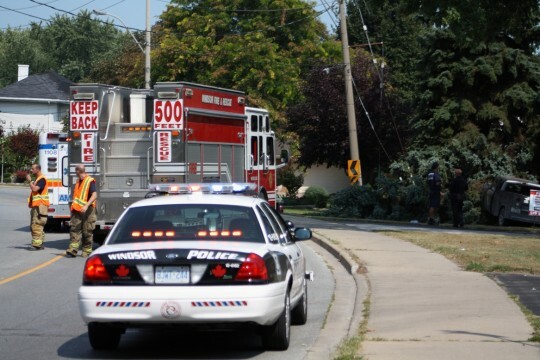 According to Windsor Fire & Rescue Captain 1, the driver appears to have blacked out. The driver did not know where he was or what had happened when emergency crews approached him. According to Captain 1, firefighters did not have to use the jaws of life to open the car door, but they did have to use saw equipment to cut off tree branches to gain access to the vehicle. 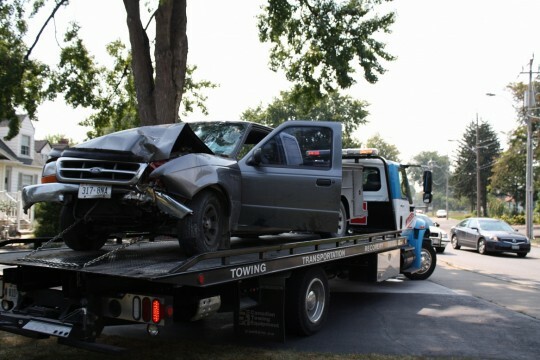 The man was transported to Hotel Dieu Hospital with minor injuries and the vehicle, which belongs to Windsor Appliances, was towed by Myers Towing.